Michael Dunn was convicted on three counts of attempted murder but was found not guilty of killing Jordan Davis, the 17 year old African-American who Dunn shot and killed in November 2012 over a dispute about Davis’s loud music. The shooting and the verdict, both in Florida, were very reminiscent of George Zimmerman’s killing of Trayvon Martin. A group of educators and activists (myself included) pulled together a guide of sorts to help teachers address this in their classrooms. The FCC promises that it will work to safeguard net neutrality. Mmmhmmm. Meanwhile, Google is expanding its high speed internet service, Google Fiber, to 34 new cities. The US Department of Education has awarded 9 states School Improvement Grants: Connecticut, Florida, Idaho, Iowa, New Jersey, Ohio, Oklahoma, South Dakota, and Wyoming. The funds are aimed at “turning around” low-performing schools. “Missouri’s proposed budget includes billions of dollars for schools, millions more for scholarships and $8 for tin foil hats” for those paranoid about the Common Core. Chicago is expanding its popular YOUmedia program (youth media and digital educaiton program) to more libraries. More details in the Chicago Sun Times. Fast Company profiles Charles Best, the founder of DonorsChoose, which says it’s helped over 175,000 teachers fund over 400,000 classroom projects. Edsurge has the list of the first cohort of London-based education accelerator “Edtech Incubator.” They’re all “teacherpreneurs,” apparently, which let’s be honest, is the worst word in education technology buzzword land. You can now get Pearson content on your Windows 8 devices. Whee. The University of Tokyo has joined edX. Harvard and MIT have released visualizations (and open sourced the visualization tools) on their MOOC data. And speaking of “democratizing higher education lulz,” Inside Higher Ed looks at what Cornell, Princeton, and Yale think about MOOCs. “The first British massive open online course to offer students the option to pay for academic credit has ended, with none of its participants opting to fork out for official recognition,” writes the Times Higher Education. Nice lede. Important detail: the class was on Vampire Fictions, which probably isn’t something folks are clamoring for formal recognition of, ya know. English-language learning site TutorGroup has raised $100 million in funding from Alibaba, Temasek and Qiming Venture Partners, reports VentureBeat. Tokyo-based Smart Education has raised $5 million from CyberAgent and Infinity Venture Partners. NewSchools Venture Fund has raised another $12 million for its seed fund, which in turn funds education technology startups. Uniquedu, a company that’s described as “China’s Coursera-style online education portal,” has raised $16.5 million in funding. Google Capital, a VC arm of Google, has invested $40 million into Renaissance Learning, maker of Accelerated Reader and Accelerated Math. Duolingo has raised $20 million from Kleiner Perkins. This brings to over $38 million the total investment in the language-learning / Web translation startup. Chegg’s shares have fallen sharply (more than 22% last Friday) in recent weeks. According to The Motley Fool, “investors are understandably upset” about the company’s margins. The big acquisition news this week wasn’t in education. It was Facebook’s $19 billion purchase of the mobile messaging app WhatsApp. There probably is something to think here for edu folks about the importance of mobile, messaging, developing world markets, and young users. Also worth thinking about: $19 billion is more than the annual budget for NASA, more than the UN’s aid budget, more than twice the annual budget for HeadStart, and more than 40 times the annual budget for PBS. 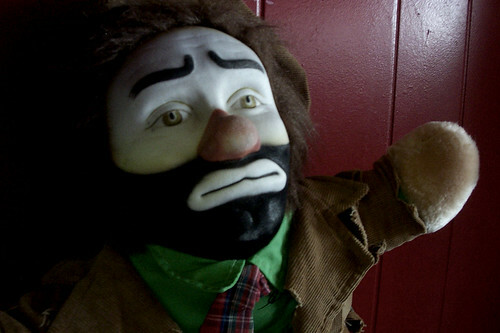 Who gives a damn about the so-called STEM worker shortage – there is a looming clown shortage!! The faculty at the University of Illinois at Chicago went on strike for two days this week, picketing in the hopes of sending a message to administrators about unresolved contract issues. Amanda French, who’s coordinated the digital humanities THATCamp project for the past 4 years, will be leaving George Mason University. Coursera has hired Vivek Goel, the former Provost of the University of Toronto as its Chief Academic Officer. Buzzfeed has hired Molly Hensley-Clancy as its new education reporter. And in other education reporter news, Libby Nelson – currently of Politico’s new education vertical and previously of Inside Higher Ed – is heading to Ezra Klein’s new news site. The White House Office of Science and Technology is looking for (unpaid) interns. The Hewlett Foundation funded a study, published by GettingSmart (the consulting site of investor Tom Vander Ark), that examines the cost-savings associated with robo-grading. (PDF) The study says that machine grading can be up to 75% cheaper than humans – pretty cheap considering how little the big companies like Pearson and the College Board pay the people who grade for them. The University of Maryland revealed this week that some 300,000 records of students and staff had been stolen as part of a security breach. Social Security numbers were taken; academic data were not. Go, School Sports Team Leader! The Secretary of Education “dominated” in the NBA All-Star Game. Because of course he did.